It can be difficult to motivate yourself to workout, however here are some simple ways to help! As a college student it is very hard to motivate yourself to workout. With classes, homework, clubs and events it is tough to find a time to exercise. With these ten tips working out will be much more enjoyable to add to your busy college schedule! Working out it so much more fun when you are in the company of someone else. 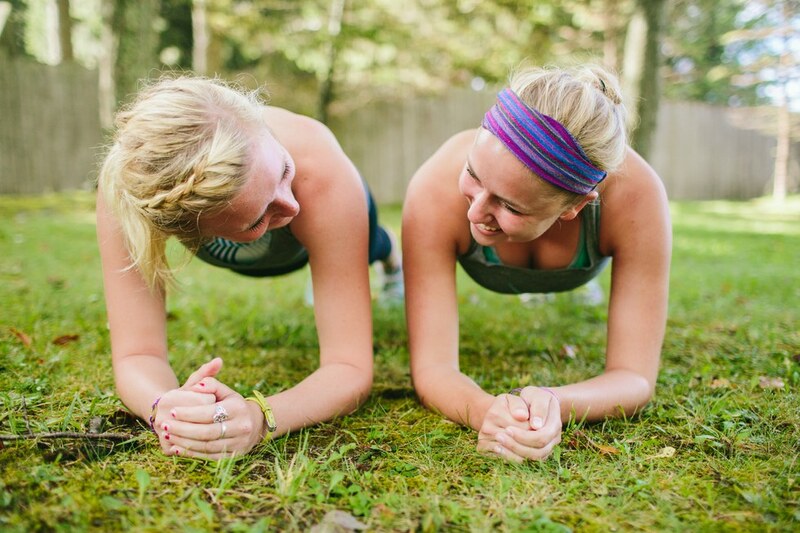 Workout with a parent, sibling or friend and keep those plans to exercise together. This can help you two stay motivated to work hard and be each others support system when needed. It is okay to treat yourself after a long workout session. Go get that Starbucks frappuccino you have been craving all day. But make sure that you worked hard for it first! Make a playlist on your phone that you can listen to everytime you workout. Preferably upbeat songs that will push you to keep on going. Buy cute athletic wear that will not only make you want to workout but show off your trendy style to everyone around! Make a list of goals that you want to reach. This could be doing an hour of cardio a day or simply taking a walk down a scenic route. Most importantly, make goals that work best for you. Try a workout class that you have never taken but have always wanted to try. Whether it is yoga, barre or soul cycle, anything where an instructor is pushing you to the best that you can be. Become a member at your local gym where you can take classes, use the equipment, and even swim! When you pay for a membership you are more likely to go so that your money is not wasted. Try and set a time each day to go and workout. This way you can incorporate exercising in your schedule and base the rest of your day around that time. Look at the results you receive after working out. This progress will make you want to continue to keep working harder. 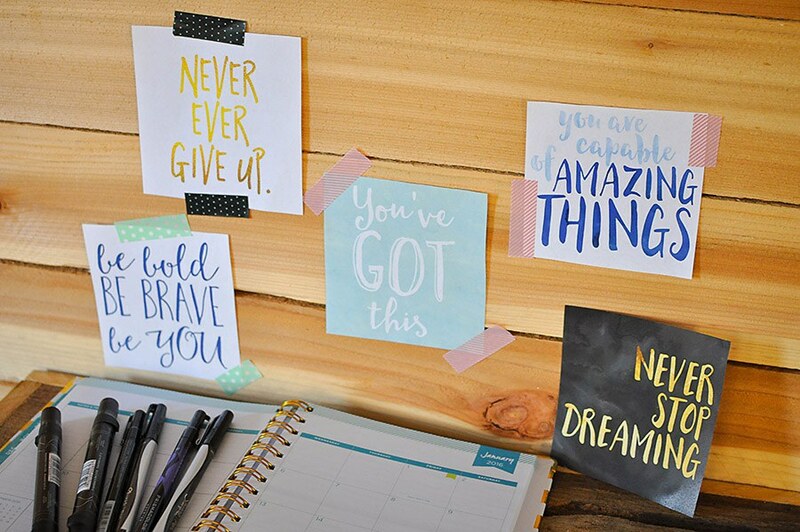 Hang positive words, quotes and pictures on your bedroom wall so every time you wake up you have something that will remind you to keep on pushing forward! A big heart can be good, but also bad. I'll be the first to admit that having a big heart isn't all sunshine and rainbows. More often than not, the pain of having a big heart will bring you to your knees, gasping for air between sobs because you care too deeply for everyone around you. Having a big heart will keep you up at night and distract you during the day, but despite the heartache, I wouldn't change having a big heart for anything. Having a big heart makes me who I am and it is the most rewarding thing in the world. So, to everyone reading this, go out of your way to do something nice for someone you care about. Send that text, write that letter, make that call, buy that cup of coffee, buy that gift, check in on your people and make sure they know that they're not alone. Little actions like these can make all the difference in the world. What takes you 10 minutes will leave an everlasting impression on them. I promise you will never regret being a good person. But you might regret not showing your gratitude. As scary as this might seem, you never know when the last time will be the last time. Dying is a part of life and you never know when someone's time will run out so say the things you feel while you still can. Let your friends know that you think they are remarkable human beings, tell your parents that you love them, tell your professors all that they've done for you, tell your boyfriend or girlfriend that they light your soul on fire. Don't leave anything unspoken because our time here is limited. Stop thinking you have forever and start living as though tomorrow is never promised. Remember, there's nothing more beautiful than being desperate, than being vulnerable. And there is nothing riskier than pretending not to care.